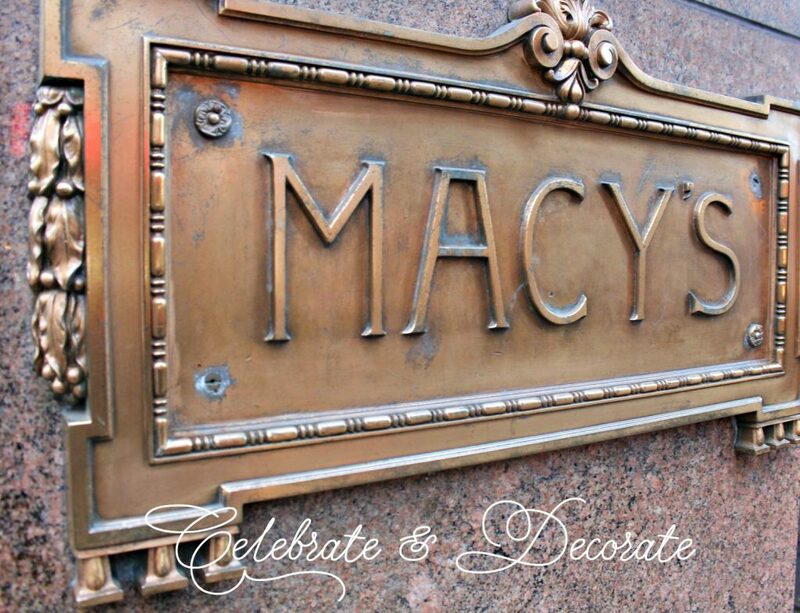 Last spring when I was in New York City I made my usual stop into Macy’s, my favorite department store. 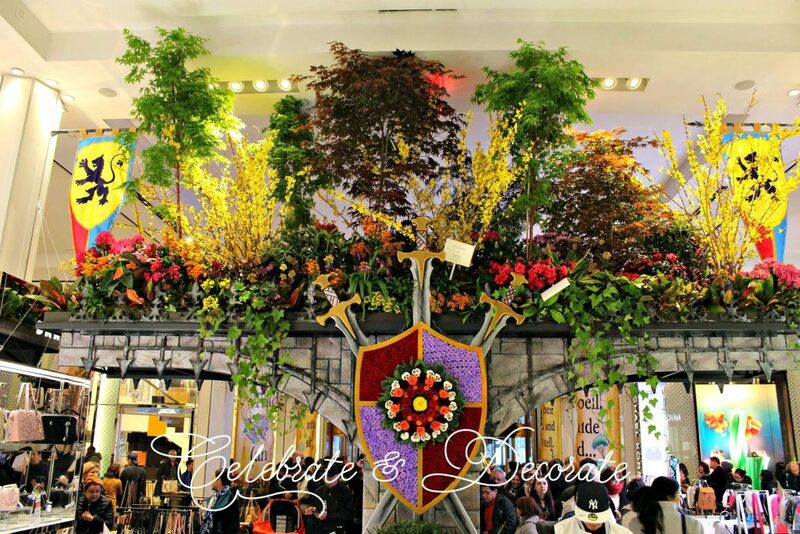 I was surprised with the Macy’s Flower Show. I immediately started snapping pictures, this was something I wanted to share with my readers. I knew I wanted to get back to the city this year for the show. Unfortunately, with this year’s show falling over Easter, I just couldn’t make the trip up to New York. Fortunately for me, my dear son in law headed over from where they live in Weehawken and took so many photos for me to choose from to share with all of you. 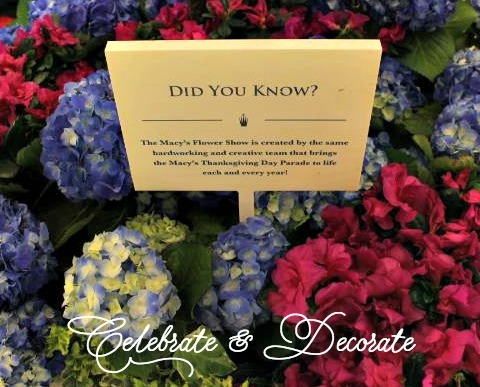 This iconic event began in 1946 with the first show in Macy’s San Francisco store. In the 1970’s the New York City Herald Square store began hosting their own show. 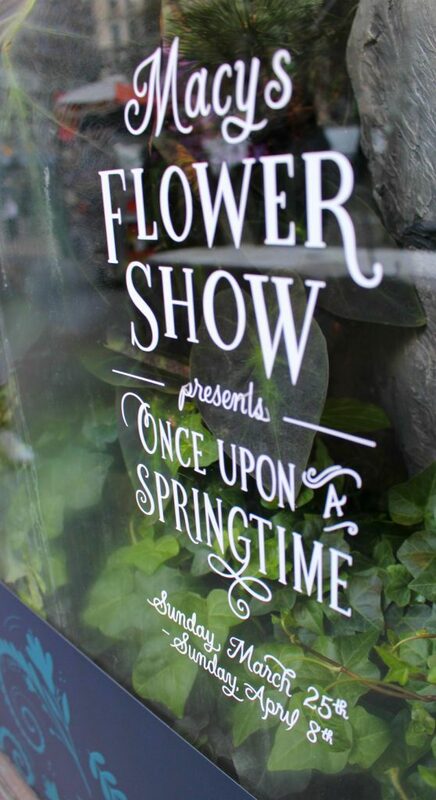 The show was always based around an English Garden theme until 2002 when different themes began being featured each year. Last year the show theme was “Carnival” . 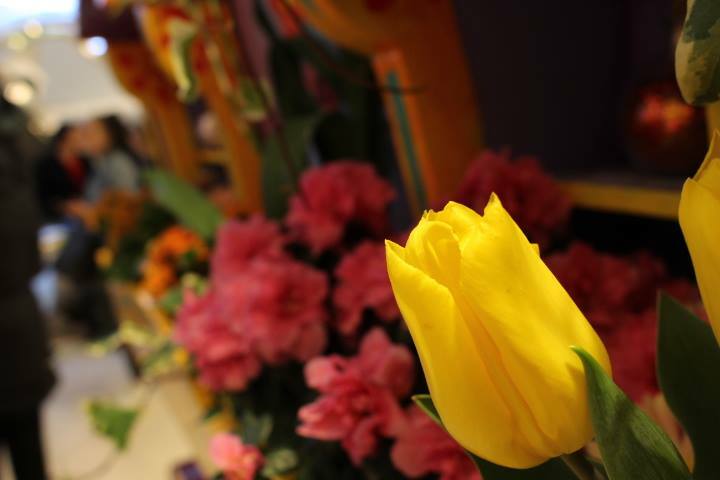 This is one of the elaborate displays I captured from last year’s show. 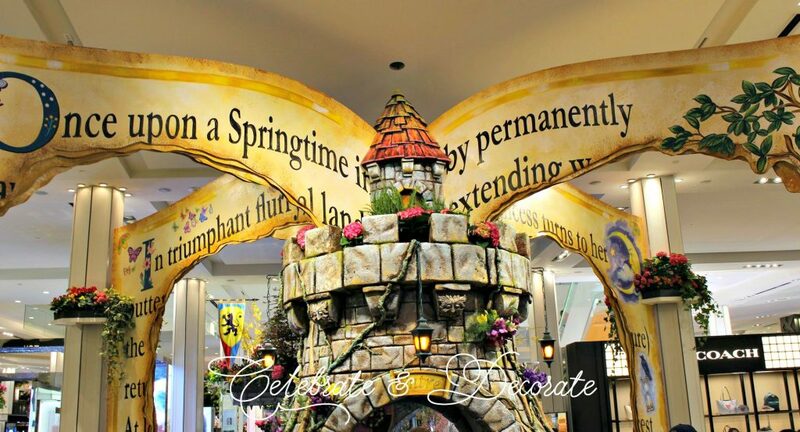 This year the theme was a fantasy storybook theme, “Once Upon a Springtime” . 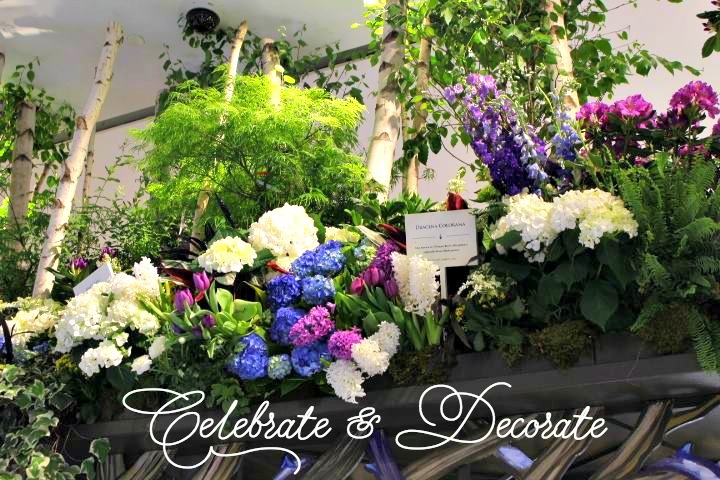 It is hard to believe that they are able to pull together this beautiful display right in the middle of a department store, while continuing to offer sales right beneath and among the extensive florals. 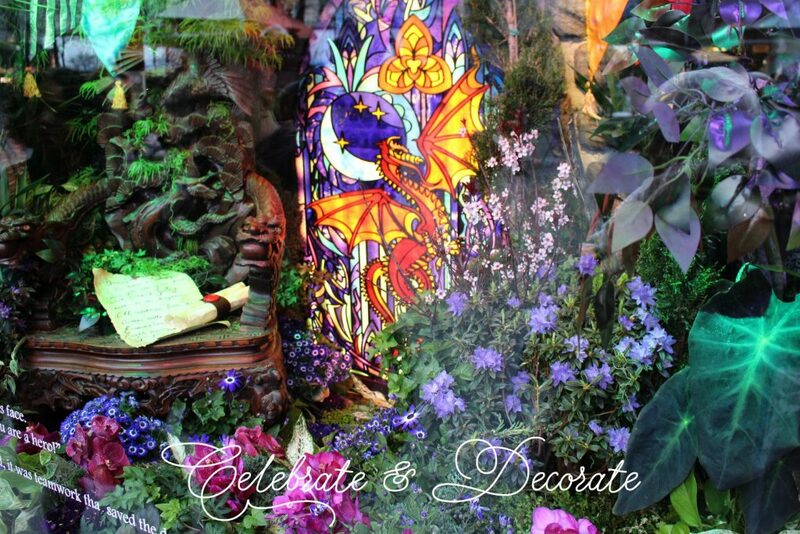 What fairytale would be complete without a fire-breathing dragon? 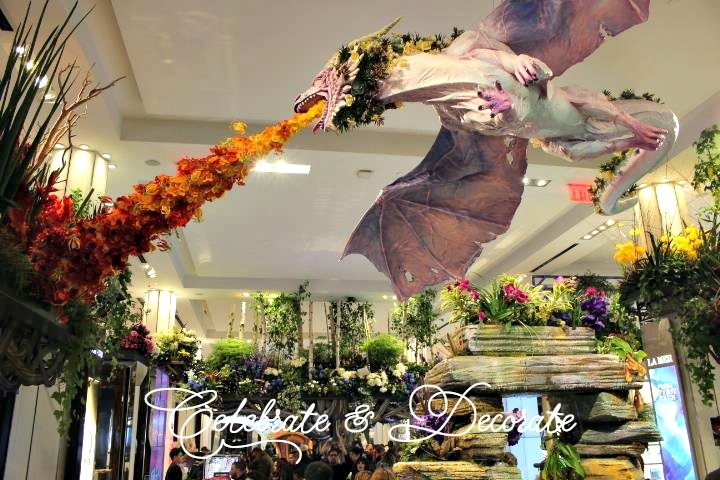 If I ever run into a dragon, I hope his fiery breath is lovely blossoms like this one! Yes, those are trees up there above the perfume counters! 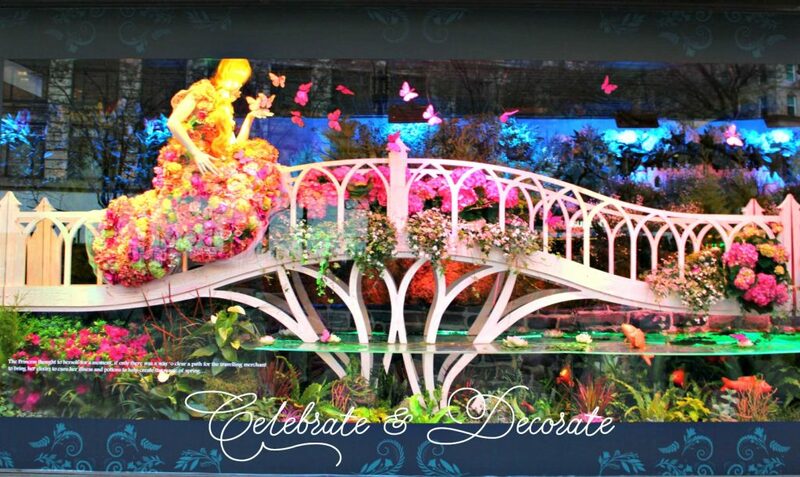 I hope you get a chance to visit one of the Macy’s Flower shows at least once. 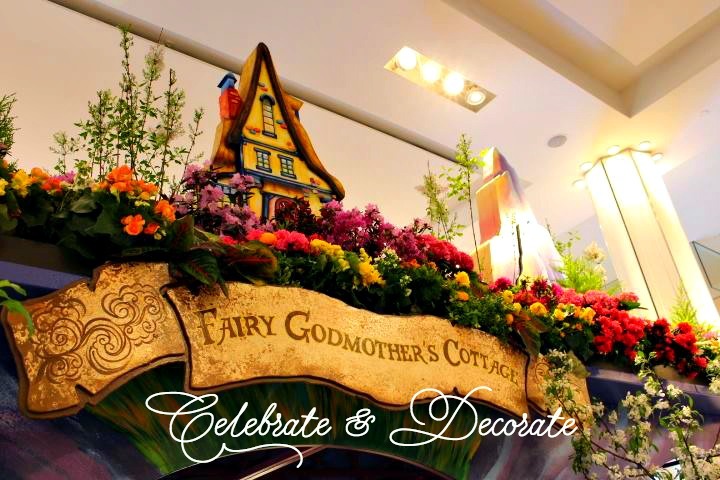 The displays are awe inspiring, and it is all free! 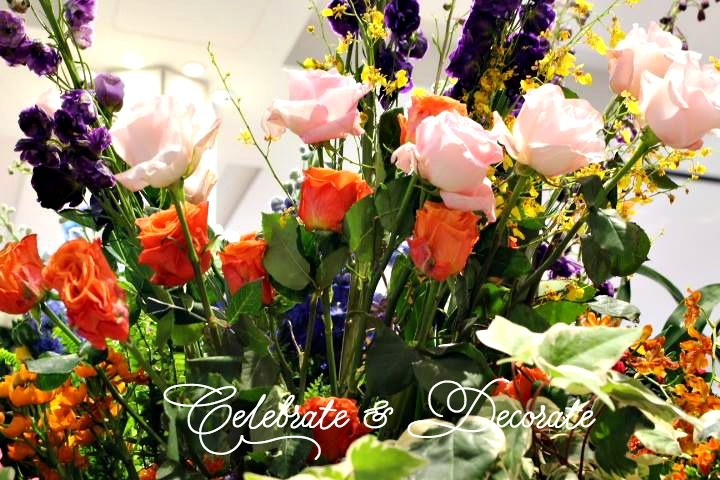 At Macy’s Herald Square they offer free tours with knowledgeable guides. What an incredible display of beauty! 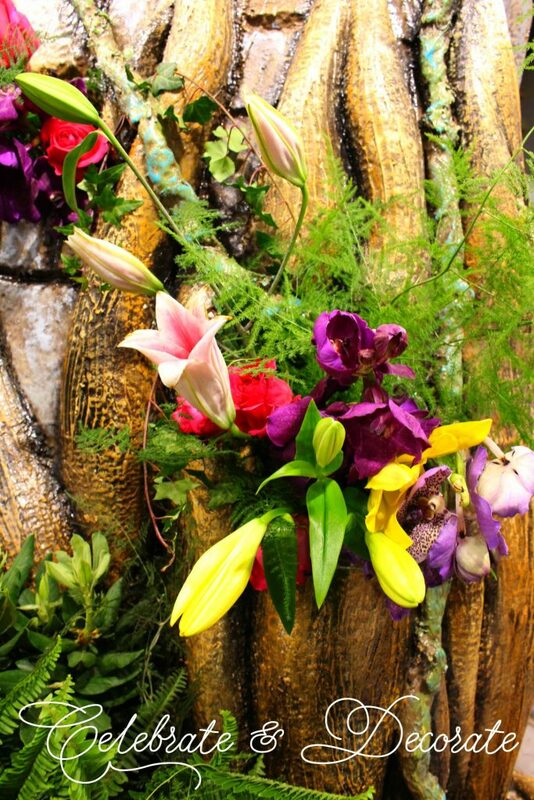 Chloe, the flowers are unbelievable. Thanks so much for sharing. Fantastic, I’d love to see that in person! Wow! It is amazing what they put together!! 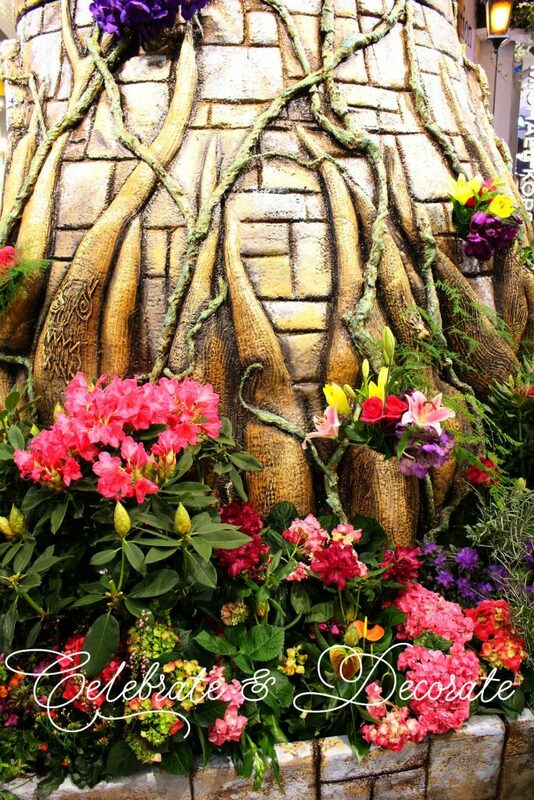 Even though my son has lived in Manhattan all these years, I never knew about the flower show! Next year I’ll have to make a point to check it out. Thanks for sharing! 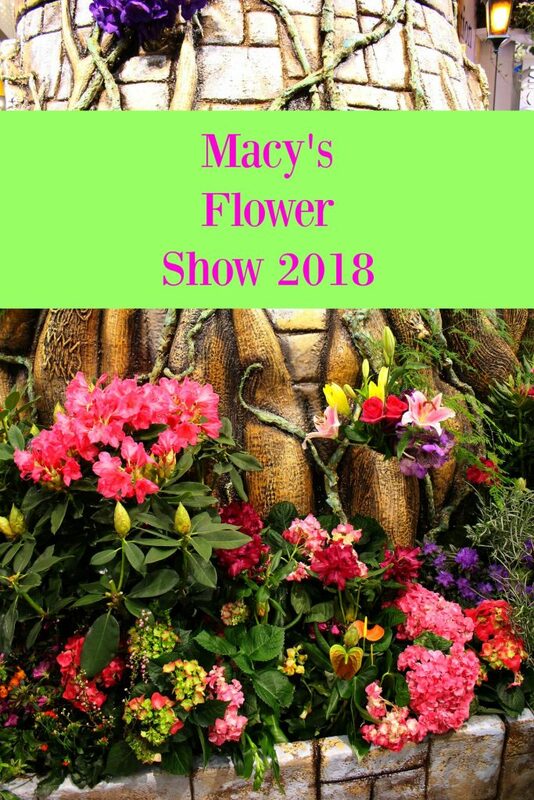 My cousin just sent me pictures of the Macey’s Flower Show in Chicago, some of your pictures look like hers, what a trip this must be. 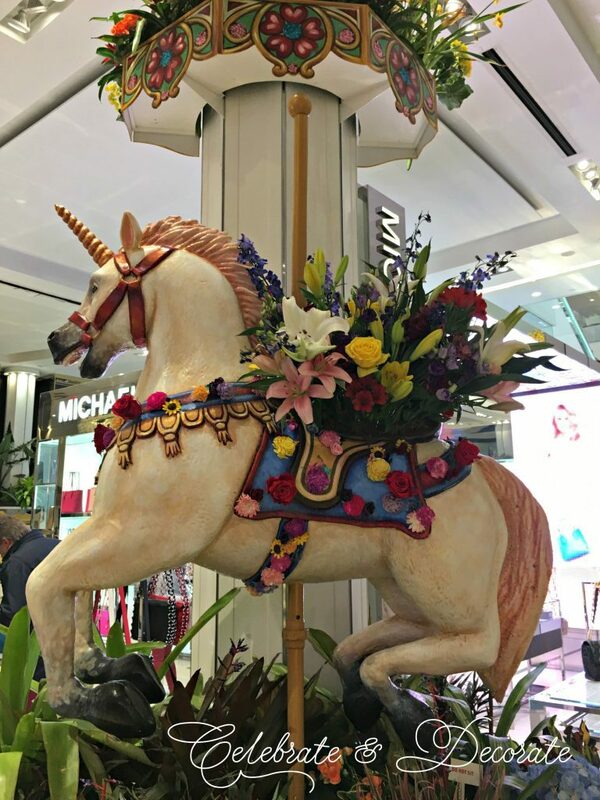 What a stunning display and I’d love to see it in person!